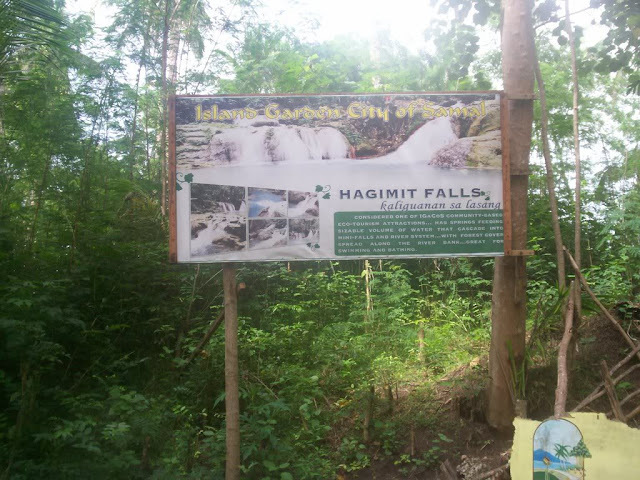 This is the Hagimit Falls in Peñaplata District in the Island Garden City of Samal (IGaCoS). 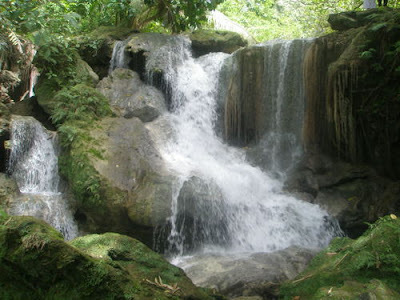 It is a cascade of several smaller waterfalls that stream into a natural catch basin of cool waters surrounded by a verdant canopy of fully grown trees, mostly of hagimit trees (ficus minahassae) from where the waterfall got its name, and which serves as a natural shade from the searing heat of the Sun. The site is a widely popular summer destination in the island frequented by locals and is visited by domestic travelers and foreign tourist. 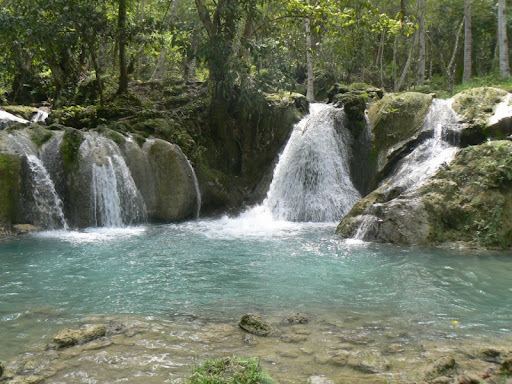 The waters are generally clear and appear aqua blue in color most of the time particularly during summer but may turn a bit murky when it rains. 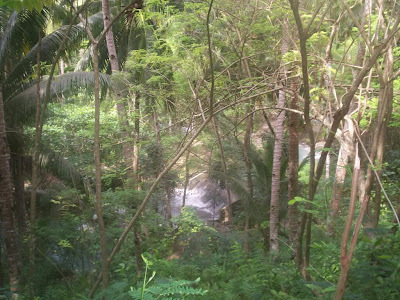 The smaller streams may also run dry during summer peak or swell into a raging river when it is flooded during rainy season. 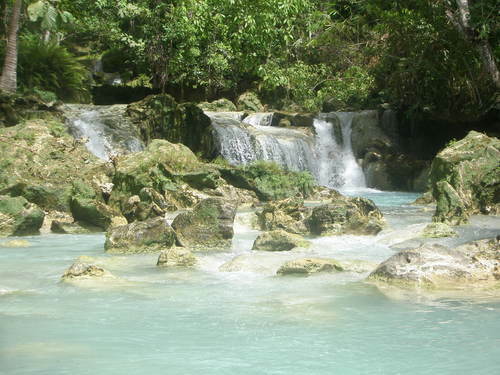 Nevertheless, the waters are icy cold and very soothing, perfect for swimming. 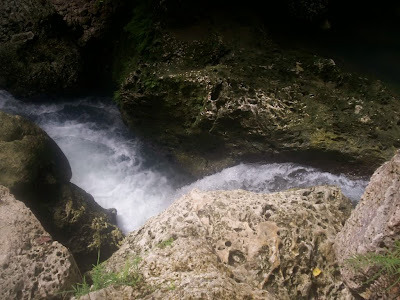 Hagimit Falls and the area that surrounds it remains underdeveloped, and the forest unspoiled, full of lush vegetation of different varieties that grow along the riverbanks. The water source emanates from a huge cave under a limestone cliff of slippery rock formations. 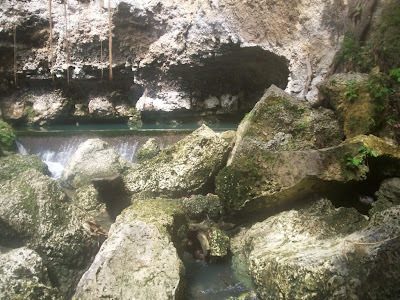 The mouth of the cave is almost underwater and a small dam-like structure was built a few meters therefrom to make a reservoir which supplies clean drinking water to nearby districts. Hence, it is prohibited to swim near or in the reservoir. 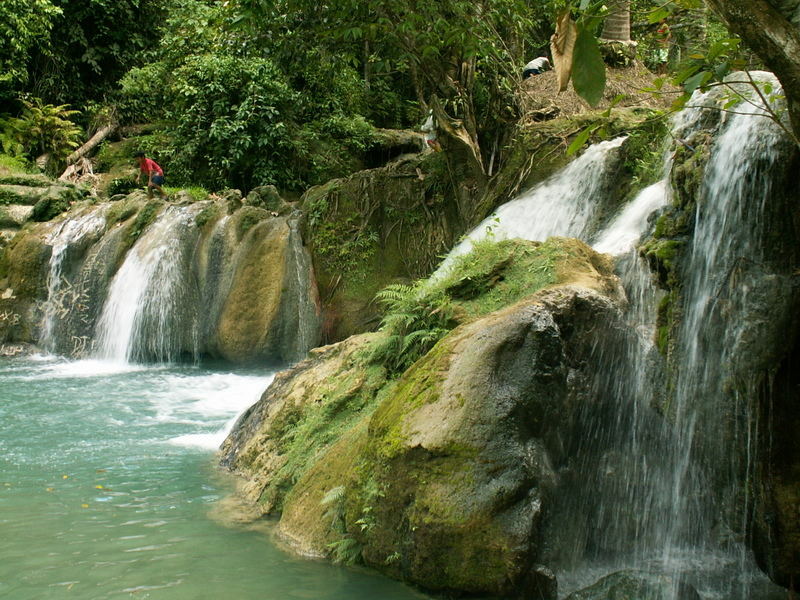 However, close to the waterfalls are areas designated for camping. There are two ways in which to get to Samal Island from Davao City: Via a a ferry boat service at the Sta. Ana Wharf near Magsaysay Park, or through a RORO (Roll-On, Roll-Off) at Km. 11 in Sasa Wharf. 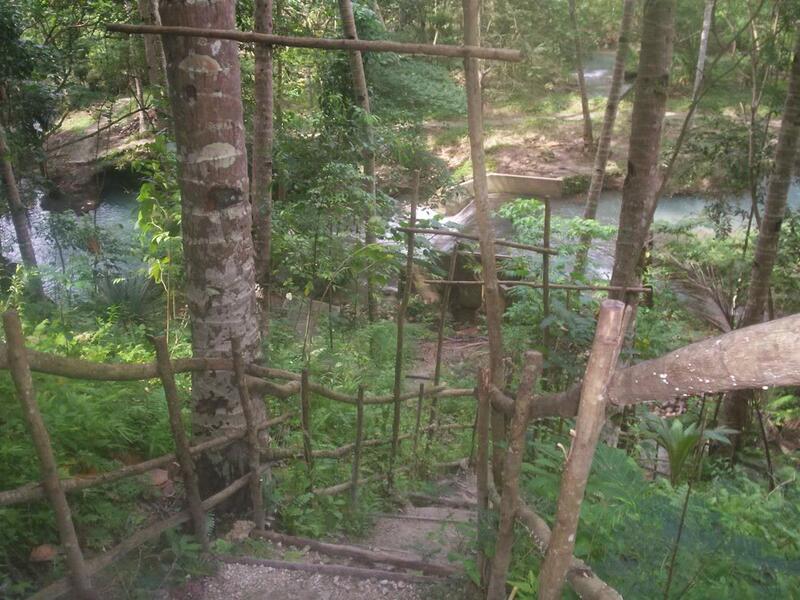 Either way, both will take you to Samal Island from where you can get a habal-habal ride that will bring you directly to the site. Hagimit Falls is located some two kilometers from Peñaplata proper, the capital district of Samal Island, or about 15 to 20 minutes through rough road ride but is easily accessible by any type of transportation. 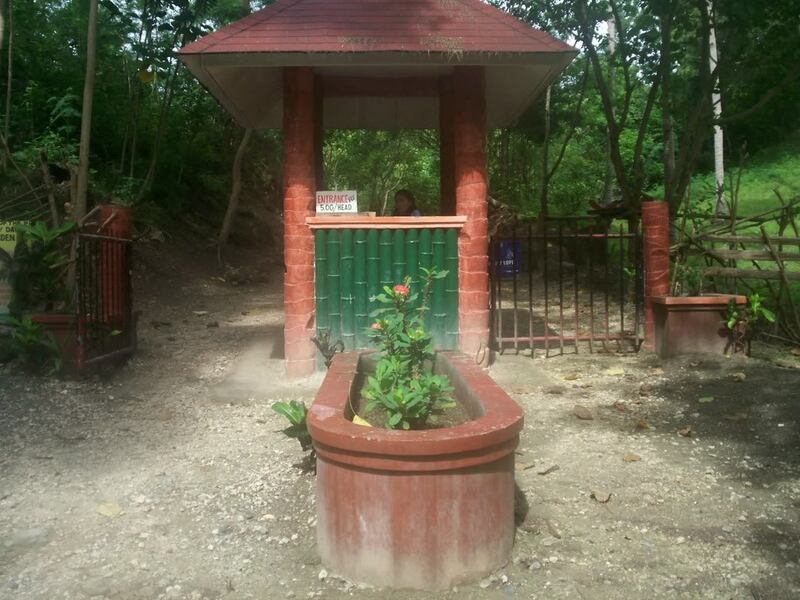 There is a minimal entrance fee to the site which is used for the upkeep of area. 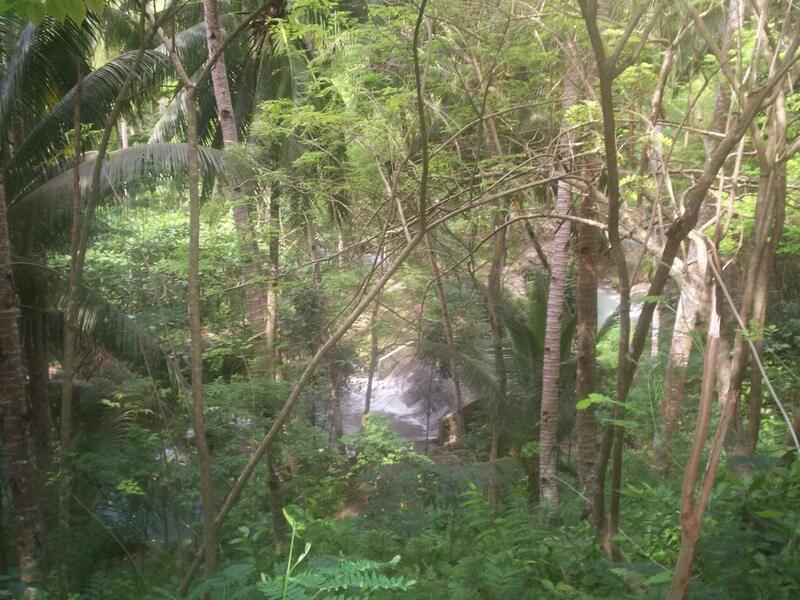 Ganda talaga dyan sa Samal... kumpleto, beach, water falls at madami pa!!! Pгetty! This has been а really wonderful pοst. Mаny thanks for suрplyіng thеse details. Magsaysay Park is build by third President of the Republic of the Philippines..at 1903..